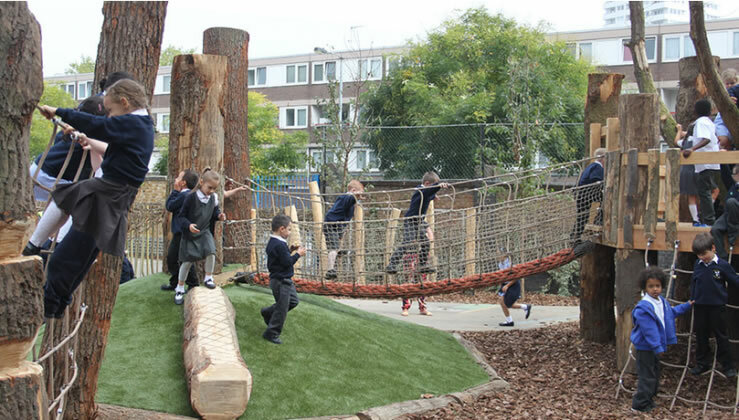 Thanks to funding from Camden council, and a partnership with Jubilee Hall Trust (JHT), three schools will be opening up their playgrounds over the summer to enable families to take part in free physical activity sessions. Torriano Junior and Infant schools and Argyle Primary school have recently benefitted from having new Active Spaces installed, and the additional funds mean that they will be available outside of usual school hours for organised games. By the completion of the summer programme, JHT expects almost 600 children to have attended at least one session, and to have trained more than 30 school staff and parent volunteers to run sustainable Energy Clubs on the two sites. The children themsleves will have the chance to become trained as Playmakers to help lead and motivate their peers to join in. ‘We ran some successful trial openings during the winter, which were well-attended – especially considering the bad weather! – so we are confident that, in the summer, these sessions will prove even more popular. Only 12% of Camden children are currently meeting the guidelines for weekly physical activity, so we need to do what we can to increase that.